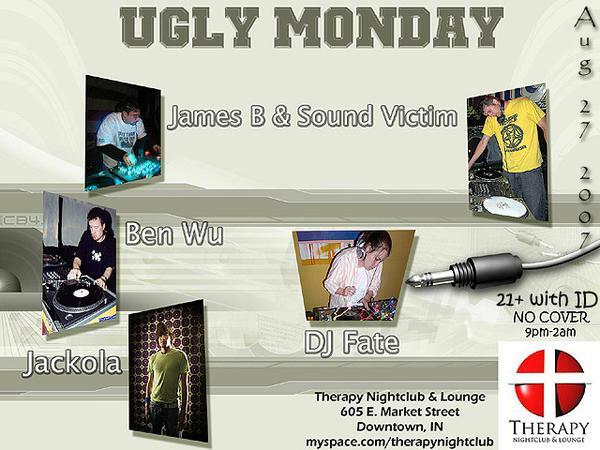 I’ll be playing at Ugly Monday once again! Check it out… no cover and some of my favorite DJs in Indy! 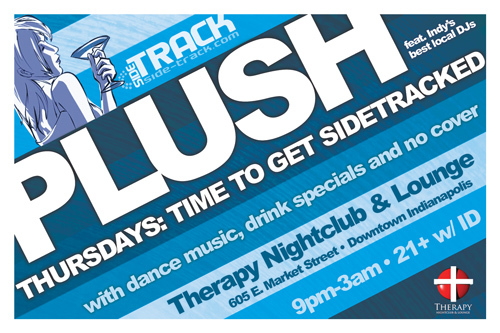 I’ll drop some beats at PLUSH at Therapy Nightclub & Lounge on August 9, 2007. Other DJs will be Bryan Hedalias, Wes Clay and Dozuki. I designed the flyer too, of course. Nice, eh? !